After every holiday I’ve been on where I’ve managed to bag myself some colour I’ve tried my utmost to try and keep the tan for as long as possible before it fades. So today I thought I’d share with you a few products and tips that I’ve found have worked best for the longevity of my tan 😊. This is literally the best thing ever. Whether you are applying this after a day in the sun or because you’ve peeled more than a satsuma, this will help your skin so much. When on holiday I try to apply this every day after I’ve been in the sun and then continue to apply it as much as possible when back home – at the very least after every shower. I can’t praise this product enough, I promise you you will not regret buying it! I love to use this product on my face when my tan starts to fade and my face needs a bit of extra colour to match my body colour. I have the darker shade, and think it is really good at looking natural ontop of a slight base tan. 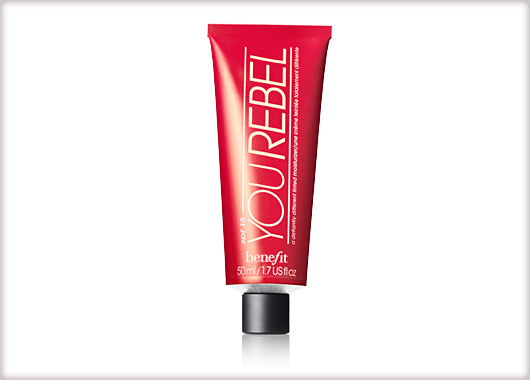 Despite being a moisturiser (double benefit woo), I think it builds quite well so you can really get the shade you want. 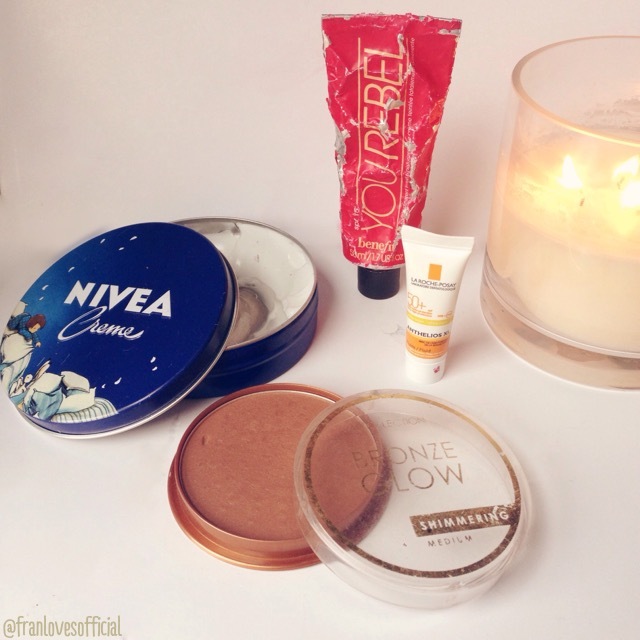 I’ve tried this before on my skin when I’ve had no tan at all and I don’t really like it.. I’m not sure if it’s because when I have a tan I feel I don’t need foundation, but with no tan I just don’t feel it provides sufficient coverage and can sometimes make me look a bit orangey, so be careful! Another great product to keep my face matching with my body is a bronzer. 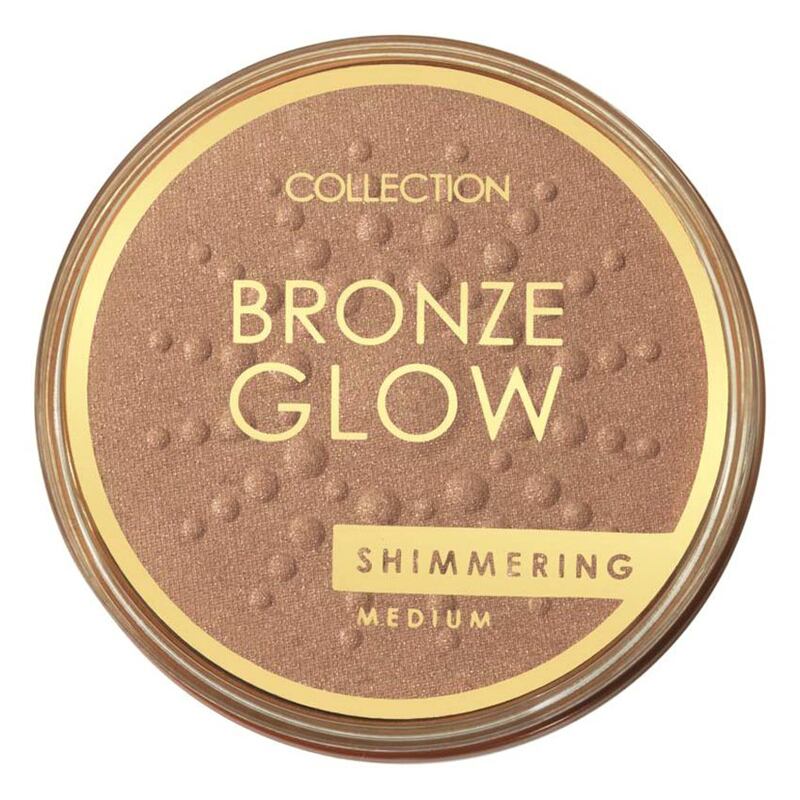 I use Collection’s bronze glow shimmering bronzer in Medium. Its cheap and has lasted me ages! Make sure you only apply this product to areas where the sun will hit your face as to avoid the fake orange look! 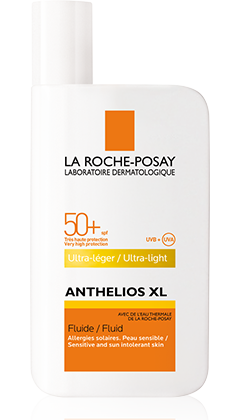 I recieved a tiny tester version of this in one of my youbeauty purchases at the beginning of summer and whenever I went out for a day in the sun, I applied it to my nose. Ive been unblessed with a large nose so without proper protection my nose always ends up burning and then peeling. If you too have this problem then PROTECT THAT NOSE! You won’t look like rudolph with a peeling nose with this .. I actually think the tiny minature size I have is ideal because my nose is the only place that needs it and this tiny pot has lasted me all summer but unfortunately you can’t buy them so small so you would have to buy a full size bottle which wont be cheap😓. 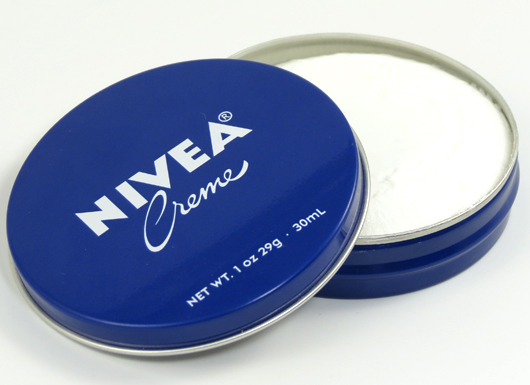 An alternative would be a cheaper branded product with the same protection – however be careful that it isnt too oily as this may give you blackheads!